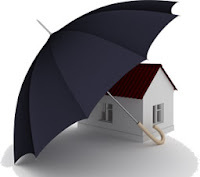 Any person wanting to rent out their property to a tenant are generally compelled to take out landlord insurance, it serves as protection for a landlord (or landlady) should they find themselves in any kind of dispute over the income from renting. One fairly typical area that usually requires cover is if a legal issue should arise between a landlord and their tenant, such as damage to the property, a claim on insurance will pay the legal fees, help with repair costs, and compensate for the lack of rent received whilst the property is renovated. Like most insurance policies, contracts for landlords are very specific about what is covered and what isn’t, under the terms of the agreement. There are a few different types of policy available, and perhaps the most popular of them is comprehensive, i.e. it provides cover for all different kinds of situations. This type of cover is what most people prefer – both landlords and tenants, it means that any sort of problem with the property can be taken care off with minimal trouble and cost; of course this excludes any specific points made in the policy. The other main type of cover is known as peril insurance, despite its negative name, this insurance does cover many given situations, just not as neatly as comprehensive insurance does. Fewer types of damage are covered, and ‘list only’ losses are compensated. Insurance companies are likely to advise customers on what other points they would like included in their policy, such as libel, slander and discrimination. In the event of a claim, landlord insurance will either reimburse property owners with the actual cash value or a replacement value. Actual cash value payouts are likely to generate a lower premium for the policyholder, whilst a settlement with replacement value does not take into consideration depreciation in value, and is likely to require higher monthly payments. Increased deductibles are another method landlords can use to reduce their costs; greater discounts are placed on policies where holders are willing to pay more money towards their own outgoings, rather than relying on the insurance company to cover everything.